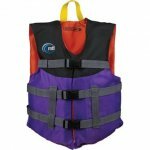 Designed for parents on a budget or camps, clubs, and outfitters looking for a basic kids life jacket that will stand up to the demands of summer fun. Lightweight and comfortable to fit active, younger boaters, the Child & Youth Livery are totally open on the sides for paddling maneuverability and cool comfort on hot days. 2 quick-release buckles give your child a secure, custom-like fit. Although best for paddlesports and sailing, they are also approved for PWC, towables, and water skiing for all around boating versatility. Child: USCG: Type III, Min buoyancy: 8 lbs. 7 oz. 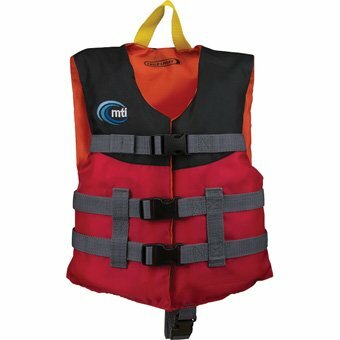 Youth: USCG: Type III, Min buoyancy: 11 lbs.